A Christmas Carol, playing Tiny Tim at The King's Head Theatre. Filming Scardey Cat playing the juvenile lead the Young Palmer for Sky TV. Ladies of Letters, Ella can be seen as Cheryl Marie, Irene Spencer's grand-daughter (played by Maureen Lipman). ITV 1 Sundays. Kate Allen begins filming for the feature film The Awakening this month. She is playing the part of the Young Florence. The Awakening also stars Imelda Staunton and Rebecca Hall. Kate Allen attends the Ashcroft Academy. Elena Benocci is currently touring in The Sound of Music playing the parts of Gretel and Brigitta respectively. Cosima Wilkinson is also currently touring in Chitty Chitty Bang Bang and is playing the part of Jemima. Cosima Wilkinson attends the Ashcroft Academy. Ben Shafik begins filming the feature film The Devil's Double. Amy Dawson is appearing in That Face with Frances Barber at The Sheffield Crucible. She is playing the part of Izzy. The production has been directed by Richard Wilson (One Foot in The Grave). Earlier this year Amy played the juvenile lead in an episode of the BBC drama Doctors. 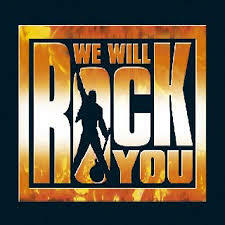 Matthew Collyer continues on into his third year in We Will Rock You, at The Dominion Theatre, West End In July 2010. John Jo Flynn is the playing the lead role in Smugglers The Musical starring Nick Knowles, Lynsey Britton and Terry Coldwell. From June 2008 - June 2009 John Jo Flynn will be appearing in Les Miserables at The Queens Theatre, Shaftesbury Avenue, London. Bradley Hall is presently filming episodes 642 and 643 of The Bill. He is playing the part of Noel. From September 2008 - September 2009 Matthew Collyer will be appearing in We Will Rock You at The Dominion Theatre, London. Jamie will be appearing over the Christmas season at the Seacombe Theatre, Sutton in Charlotte's Web and he is playing the part of Avery. John Joseph Flynn is currently appearing with Linda Nolan in the national tour of Blood Brothers. He is playing the part of Perkins. Marzena filmed an episode of The Bill in July 2007 and is now presenting "Ex-Tube" for Sky TV's Extreme Sport Channel. From 14th November 2006 - February 2007 Hara Yannas is starring with Michael Barrymore in the national tour of Scrooge. Lucy will be appearing as Wendy in Peter Pan at The Camberley Theatre with Ian Redford ( “Keith Appleyard” in Coronation Street) as Captain Hook.